To be a staff writer at The New Yorker during its heyday of the 1950s and 1960s was to occupy one of the most coveted--and influential--seats in American culture. Witty, beautiful, and Irish-born Maeve Brennan was lured to such a position in 1948 and proceeded to dazzle everyone who met her, both in person and on the page. From 1954 to 1981 under the pseudonym "The Long-Winded Lady," Brennan wrote matchless urban sketches of life in Times Square and the Village for the "Talk of the Town" column, and under her own name published fierce, intimate fiction--tales of childhood, marriage, exile, longing, and the unforgiving side of the Irish temper. Yet even with her elegance and brilliance, Brennan's rise to genius was as extreme as her collapse: at the time of her death in 1993, Maeve Brennan had not published a word since the 1970s and had slowly slipped into madness, ending up homeless on the same streets of Manhattan that had built her career. 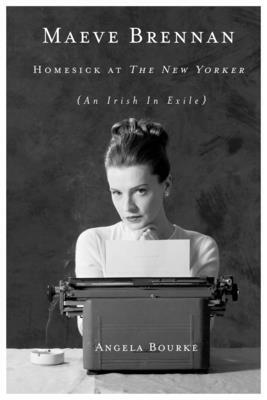 It is Angela Bourke's achievement with Maeve Brennan: Homesick at The New Yorker to bring much-deserved attention to Brennan's complex legacy in all her triumph and tragedy--from Dublin childhood to Manhattan glamour, and from extraordinary literary achievement to tragic destitution. With this definitive biography of this troubled genius, it is clear that Brennan, though always an outsider in her own life and times, is rightfully recognized as one of the best writers to ever grace the pages of The New Yorker. Angela Bourke is the author of The Burning of Bridget Clearly, winner of the Irish Times Nonfiction Prize, and By Salt Water, a collection of short stores. She is a Senior Lecturer in Modern Irish at University College, Dublin, and has been a visiting professor at Harvard University, Boston College, and the University of Minnesota, and the University of Notre Dame. A Dublin native, she once lived on Cherryfield Avenue, the street that Maeve Brennan made famous in her fiction.